Leapfrog has 2 goals: Happy Dogs and Happy People. Our Leapfrog Labradoodle puppies have been examined and given a clean bill of health by our veterinarian as well as vaccinated, dewormed, desexed (spayed or neutered), and microchipped. Every puppy comes with a 3 year warranty against genetic disorders, a 5 generation pedigree, and a lifetime of support from us. Every breeding dog used in our program, including outside studs, has been tested and done well on all tests recommended by the Goldendoodle & Labradoodle Premium Breeders List, and the Australian Labradoodle Association of America (at the Golden Paw level) Health tests performed include hips, elbows, patella luxation, PRA, vWD, and annual CERF, cardiac, and general wellness exams. We are happy to discuss and/or show copies of our dogs' health scores to our clients. Leapfrog is proud to uphold the highest possible standards in health. We are recognized as a Premium Breeder in BC and we applaud and abide by the proposed Standards of Care for Breeders of Companion Animals Act in our province. Our dogs are fed a premium grain free diet and get plenty of exercise. They live on, and have free access to, 5 park-like acres. They also accompany us on frequent excursions, either through the vast network of forest trails that extend from the Northern perimeter of our property, or to the beach at the end of our road. Our puppies are born and raised in our home where they are socialized by 3 generations of dog lovers! They grow up in the hub of a busy household and are exposed to all the sights and sounds that they will encounter when they go to their new homes. Puppies have begun work on potty training, crate training, and basic commands such "come," "sit," and "no bite." We begin their socialization and training at an early age because only well socialized dogs can participate fully in family life and be welcome wherever they go. Our puppies are raised with kids. The puppies meet 50-100 new people (including lots of kids) before going home to their families! Leapfrog is an intentionally small breeding program focused on bringing out the best in every dog and puppy we raise. Our focus is quality, not quantity. Our breeding dogs participate in community work, fundraisers, and advanced training classes such as tracking and Rally O. They also participate in our active, outdoor lifestyle which includes everything from beach combing to camping. We seldom go anywhere without the dogs. Our breeding dogs are family members from the time they are puppies. They live as beloved companions either in our home, or in the home of a carefully selected guardian family. We are not a kennel and we do not sell breeding dogs to those who are. Happy dogs need ongoing love and attention, and a secure sense of belonging (not unlike people). Our puppies are adopted by carefully selected families that can provide them with permanent loving homes. We want a lifetime of happiness for our dogs and we are careful to place them with families who can provide that and whose lifestyle is well suited to this breed. Our puppies are spayed/neutered and microchipped before they go to their families. We register ourselves, the breeder, along with adopting family on the microchip registration form, ensuring that no Leapfrog Labradoodle or its offspring will ever end up in a shelter. Should a client ever, for any reason, be unable to care for their Leapfrog Labradoodle, we will gladly take the dog back and/or assist with rehoming. We stand by our puppies 100%. Responding to your inquiries quickly, reviewing your application within 24 hours of when it's submitted, and contacting you soon afterwards to go over any questions that you may have before reserving your puppy. Once the puppies are born, we begin sending weekly photos and updates. 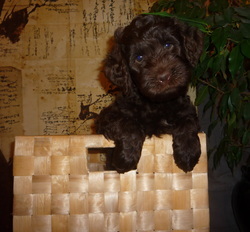 If you are not able to pick-up your puppy in person, we will work with you to arrange hand delivery or shipping. As a special thank you to our local community, hand delivery is free anywhere on the Sunshine Coast and throughout Greater Vancouver. We send you home with a puppy package which contains a wealth of helpful information, and fun treats for your puppy. Three months after you receive your puppy we will check in with you (with your permission) to ensure that all is going well. We are always excited to receive spontaneous updates! Best of all, your puppy comes with a lifetime of support from us. Whether you have a simple question or find yourself no longer able to care for your doodle, we will always be there to help. Your doodle will steal your heart. Be forewarned. Because of this, many families find that they want more than one. While we do not recommend bringing home two puppies at once, we do offer preferential pricing when you purchase your second (or third) Leapfrog Labradoodle. 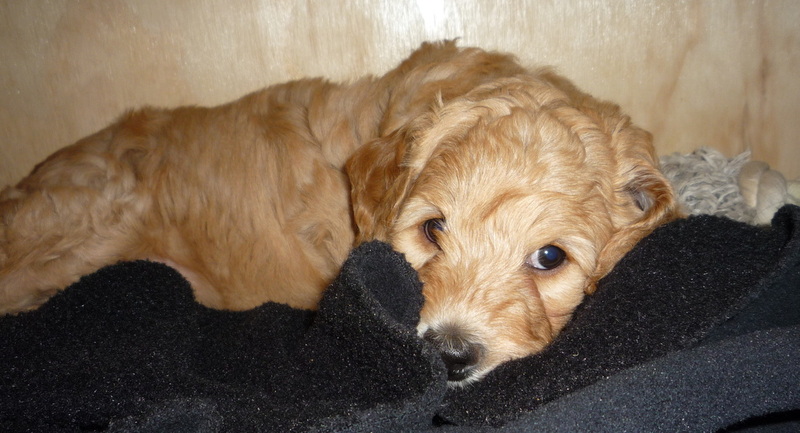 We appreciate your decision to acquire your puppy from us and we want you to know that we have not forgotten you! We leave no stone unturned when it comes to raising great puppies. 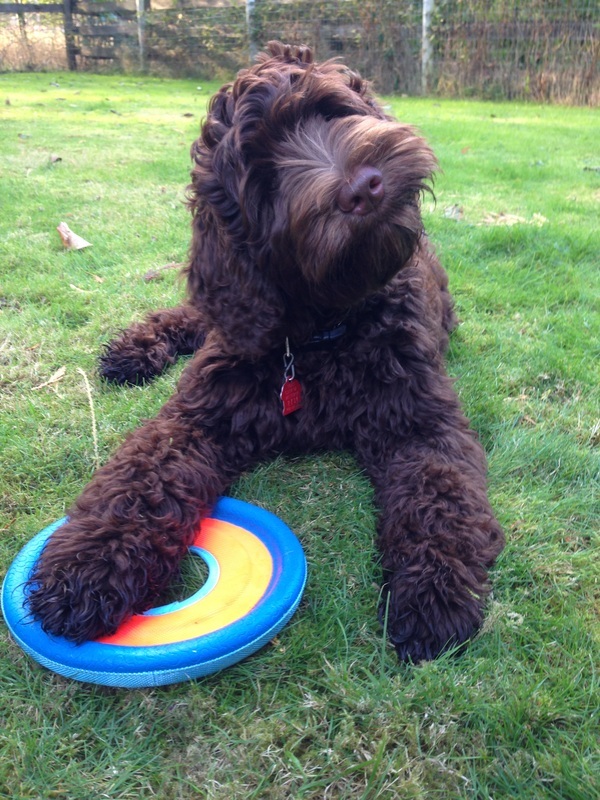 When you choose a Leapfrog Labradoodle you are choosing a healthy, happy puppy that has been well socialized and carefully bred to be a wonderful non-shedding, and allergy and asthma friendly companion dog. Your puppy is temperament tested and matched to your individual specifications to ensure a lifetime of happiness for you and your doodle. Donating 1% of our revenue to local animal rescue organizations. Donating one very special puppy per year to serve as an assistance dog. Volunteering our time and involving our breeding stock in community work such as school-based reading programs and local fundraisers. 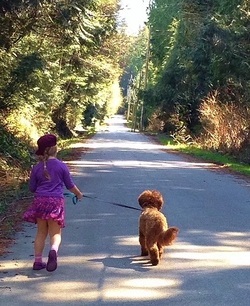 When you choose a Leapfrog Labradoodle you are contributing to a better world for kids and dogs. We urge you to please keep our motto in mind when choosing a puppy. Sadly, the vast majority of puppies are raised in puppy mills and by casual breeders who do not test their breeding stock for serious genetic disorders. This is a situation that leads to exactly the opposite of what Leapfrog is working so hard to accomplish. It leads to sick and abandoned dogs, overcrowded shelters, and devastated people. Whether or not a Leapfrog Labradoodle is the right fit for your family, we implore you to obtain your puppy from a reputable breeder or animal shelter. Never purchase a puppy from a third party as this practice easily supports puppy mills. While it may be tempting to "rescue" a puppy from a backyard breeder or puppy mill, please remember that this prolongs the problem and causes many more puppies to suffer in the future.